From a renowned photographer, writer and adventurer comes an engaging and truly handsome new book that is set to open the world of fly-fishing to a wider audience, with its elegant prose and passionate descriptions of our beautiful country. 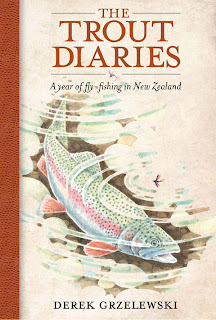 With honesty and freshness, Derek Grzelewski has written a highly readable account of his year dedicated to fly-fishing in New Zealand, relating the highs and lows, and the intricacies and finesse, of pursuing trout in the wild places and pristine waters he loves so much. The thrill of close encounters with this elusive quarry is mirrored by the pleasure he takes in the companionship of his dogs, his friends and the many others he happens across in, often secret, fly-fishing locations around the country. Each month, illustrated with fly sketches by passionate fellow angler Johnny Groome, (above Woolly Bugger-August), covers aspects of fly-fishing relevant to that time of year. Along the way we meet many of the author’s friends and clients, including top professional guides and a couple of trout scientists, and share his insights into the art of fly-fishing. He also considers innovative techniques and equipment, the pros and cons of catch-and-release, and ponders on our relationship with the natural world and environmental factors affecting our waterways. 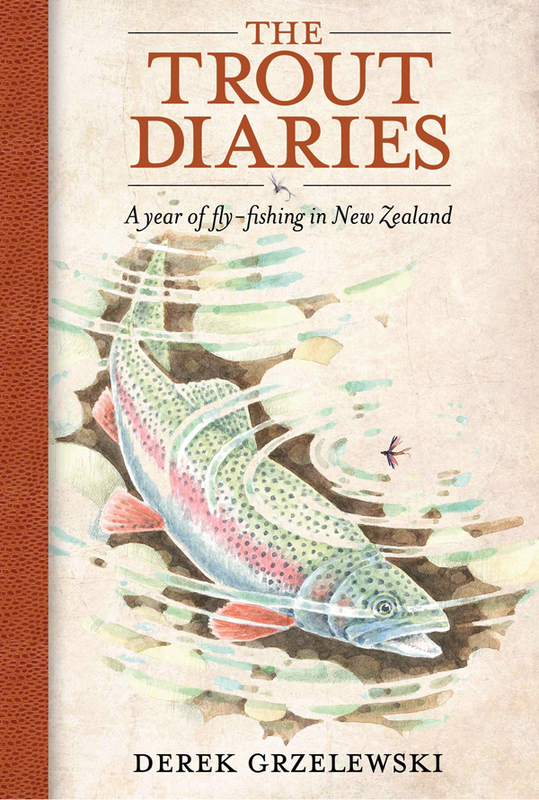 The Trout Diaries contains a wealth of captivating and often amusing anecdotes as well as useful technical information making it a true angler’s companion, both literary and practical. It is also an extremely attractive book to hold; an outstanding job has been done on the design and I offer my congratulations to those involved. 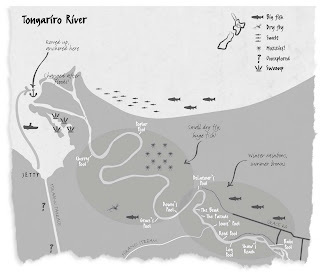 The beautiful colour photographs, hand drawn maps and trout flies are another most appealing aspect of the book. Derek Grzelewski was born in Poland in 1964 and grew up behind the Iron Curtain. At 22, he escaped the communist regime by climbing over the mountains into Slovakia, making his way through Western Europe and on to New Zealand. 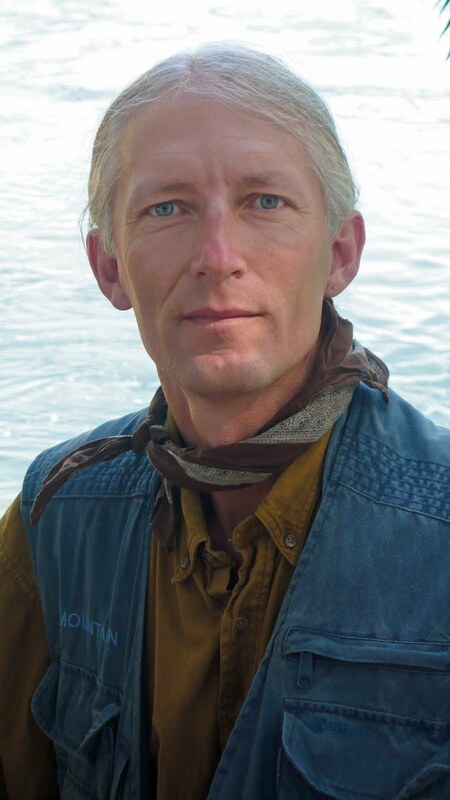 With a successful career as a photographer, writer and adventurer under his belt, he is also a regular contributor to high-end magazines such as New Zealand Geographic, Australian Geographic, Smithsonian, GEO and Flylife. 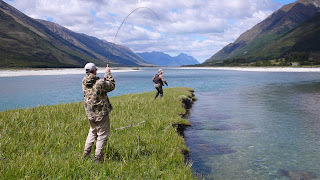 He is a former professional fly fishing guide and the founder of Wanaka Flyfishing Academy. 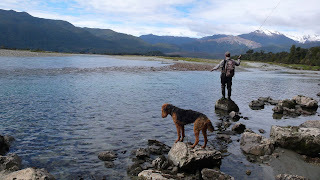 He lives in Wanaka, on the bank of the Clutha River. Has Lynn Barber killed the art of criticism? Orion to publish Where's Asterix? David Davidar: What's the Next Chapter? Celebrating Katherine Mansfield – at the bay!